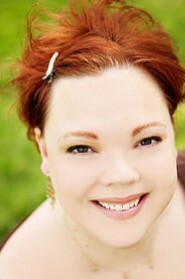 Heather Snow is an award-winning historical romance author with a degree in Chemistry. She discovered she preferred creating chemistry on the page rather than in the lab. Her Veiled Seduction Series contain three unconventional heroines with unfolding mysteries and unforgettable love stories. Her books are in six languages around the world and have won numerous awards, including The Golden Quill, The National Excellence in Romance Fiction Award, The Write Touch Reader’s Award and the Book Buyer’s Best Top Pick. Heather will speak to the Guild about characterization – how to bring your characters to life. She will also speak ORACON (Ozark Romance Authors’ Convention) Sept.17. She lives in Sparta with her husband and two rambunctious boys. This entry was posted in Speakers and tagged developing characters, how to write, improve writing skills, writing ideas. Bookmark the permalink. Where & when will you meet this Saturday? Due to Heritage Cafeteria closing so suddenly without notice, we are cancelling our August meeting. We will resume in September at a new venue. Check back on this site for updates. Thanks for asking, and we hope to meet you!